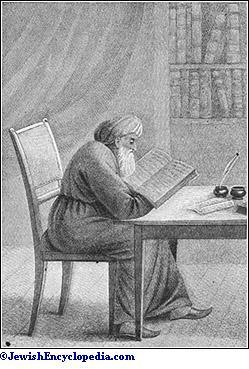 Alfasi is exceedingly self-conscious, decided, and firm in asserting the correctness of his decisions, and in rejecting the opinions of those who differ from him (Ket. x. 115, ed. Sulzbach, 1720; Ber. vii. 39b). He rarely wavers or doubts. Of previous authorities he mentions by name Gaon Hai, Gaon Judah, and Gaon Moses (Ket. iv. 84b); others he cites by the general term "Some of the rabbis." In three places (ib. x. 116b, 119; viii. 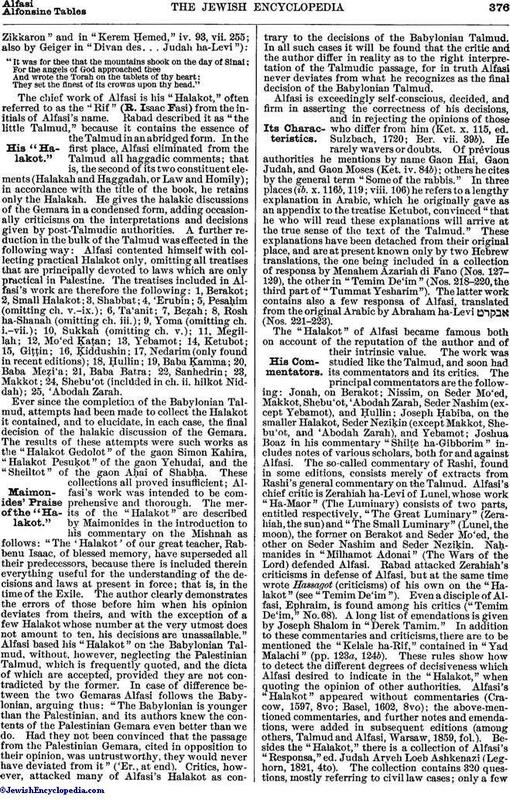 106) he refers to a lengthy explanation in Arabic, which he originally gave as an appendix to the treatise Ketubot, convinced "that he who will read these explanations will arrive at the true sense of the text of the Talmud." 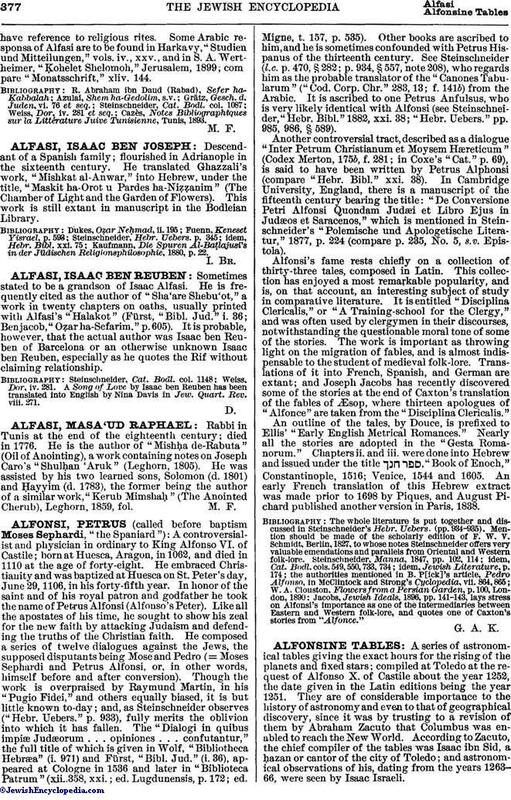 These explanations have been detached from their original place, and are at present known only by two Hebrew translations, the one being included in a collection of responsa by Menahem Azariah di Fano (Nos. 127-129), the other in "Temim De'im" (Nos. 218-220, the third part of "Tummat Yesharim"). 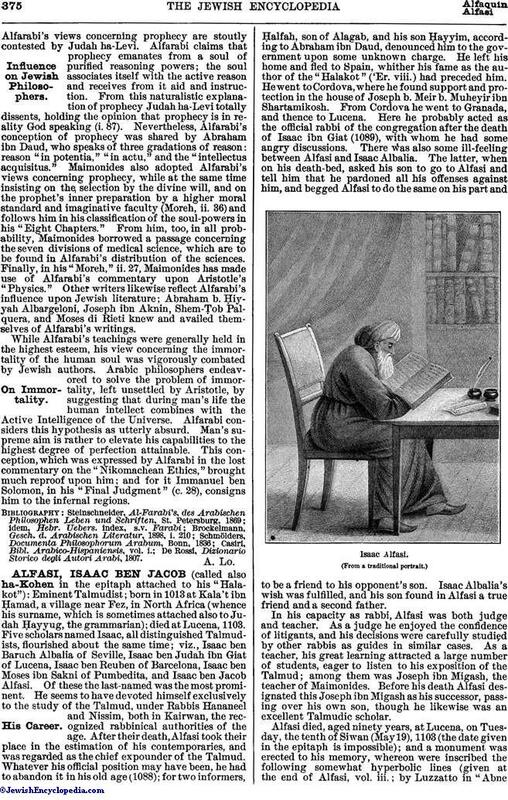 The latter work contains also a few responsa of Alfasi, translated from the original Arabic by Abraham ha-Levi (Nos. 221-223).